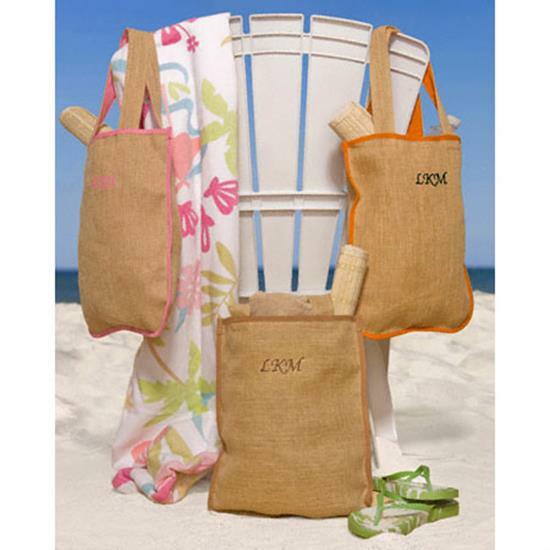 You'll love our spacious, stylish and environmentally friendly tote. Load up all your daily essentials in this slim, simple design. 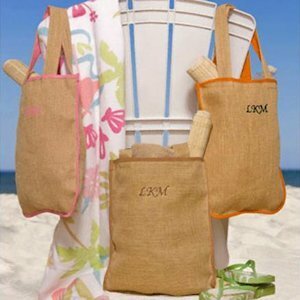 Made from natural jute fiber and lined in cotton, bag measures 13 1/4" x 16". 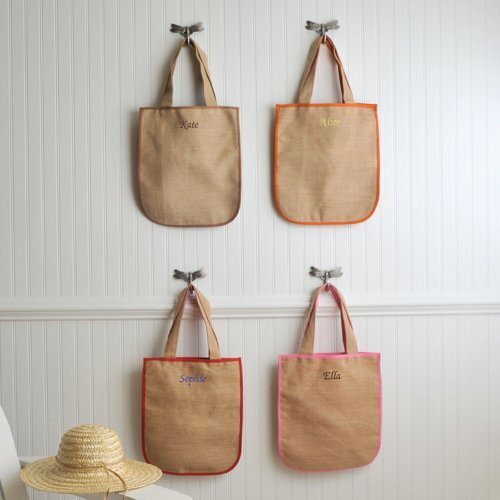 Choose from one of our three lining colors and personalize your tote with your name in one of our 10 thread colors. 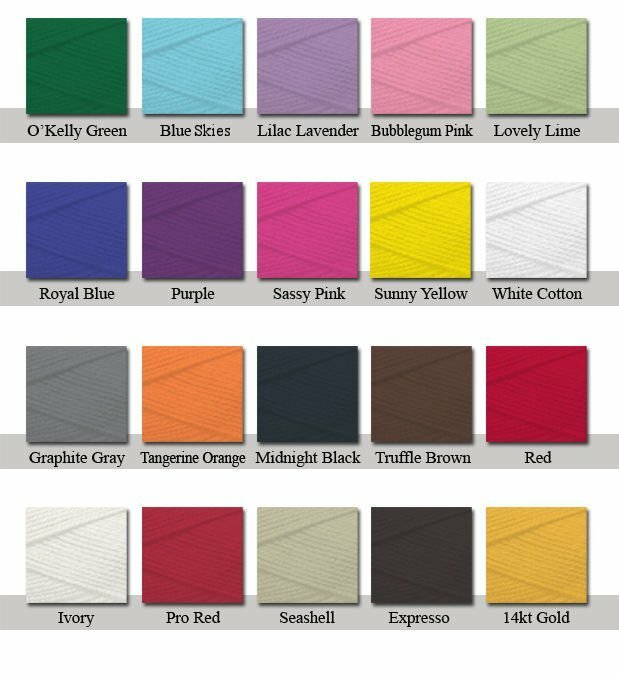 Select Chocolate, Orange or Fuchsia lining colors.